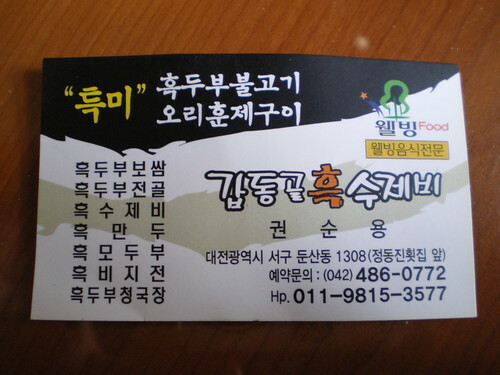 Paul Ajosshi: The Best Damn Tofu in Daejeon! 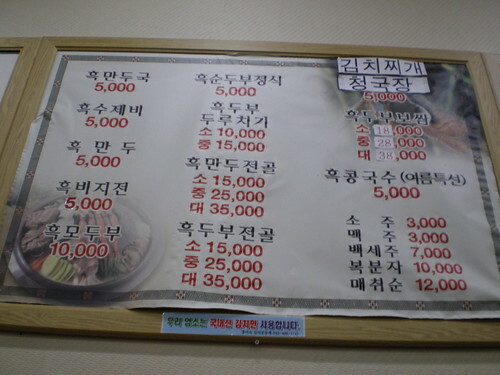 If you find yourself at a loose end down in 둔산동 (Dunsan-dong) in 대전 (Daejeon) and are in the mood for some tasty tofu treats then head on down to 갑동골 흑 수제비 (Gapdonggol Heuk Sujebi) - home of 흑 두부 (Black tofu). 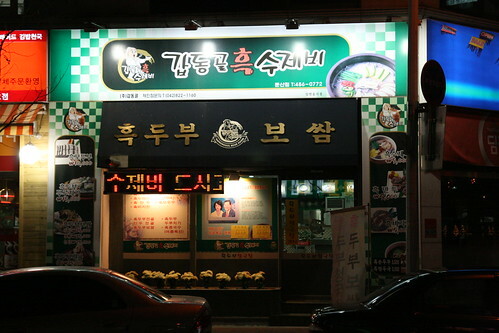 This paradise of soybean pleasure is only a five minute walk from Galleria-Time World, just cross over to 전자랜드 (Chunja Land Electronics Market) and head down the side street another fifty metres until you see the comforting sight of this beautiful little restaurant. 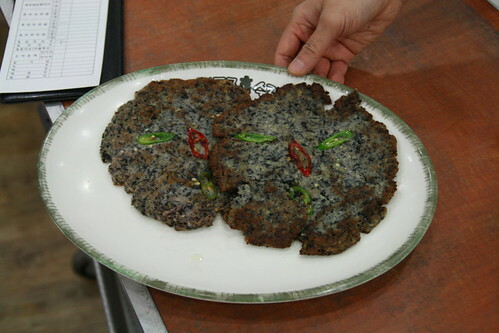 First up the crowd pleaser - 흑비지전 (Black bean curd pancakes), these crunchy little fellows are guaranteed to put a smile on anyone's face. 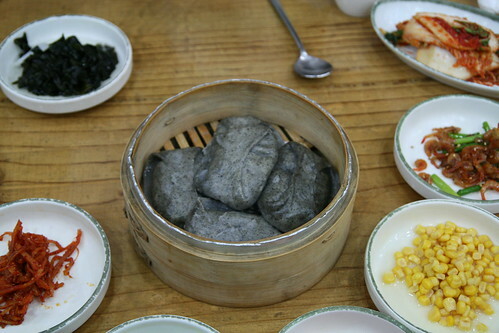 The black bean curd is shaped into robust patties that are crispy on the edges and satisfyingly moist in the middle. The chillies on the top add a little bit of a kick, but the pancakes are not too spicy and will leave you craving for more. 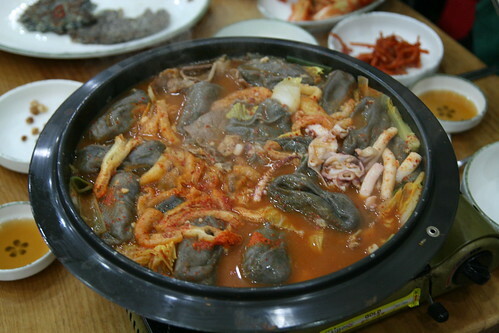 This fiery pot of dumplings, cabbage, seafood and spice is perfect for sharing with friends and for warming your cockles when Daejeon's streets are frozen over. 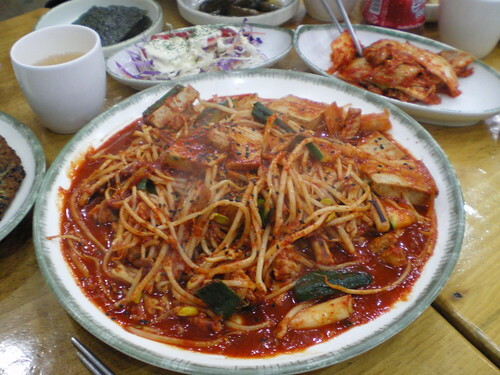 For those with iron taste buds then the next step up is - 흑두부 두루치기 (spicy black tofu and seafod), succulent slices of black tofu, squid and a mountain of bean sprouts are soaked in a feiry ocean of chilli sauce. If you are craving something mouth-burningly delicious then this is the dish for you. Not for the faint hearted, this volcanic tofu mountain will sate your spicy needs. 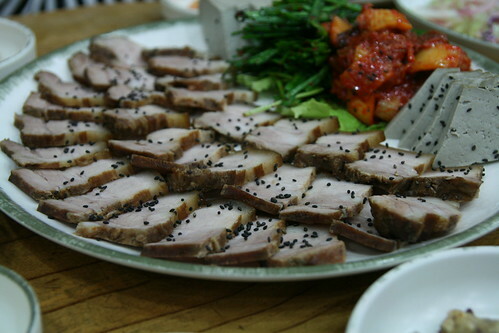 And saving the best for last - 흑두부보쌈 (Black tofu and steamed pork), slices of pig and black tofu wrapped in kimchi or lettuce... Heaven. Don't listen to what vegetarians may tell you, pork and tofu go together like no other combination on earth. Add some mature kimchi into the mix and you have a heavenly mouthful of Korean cuisine. Black tofu may sound like an oddity, but after a visit to this restaurant you'll be craving it again and again. 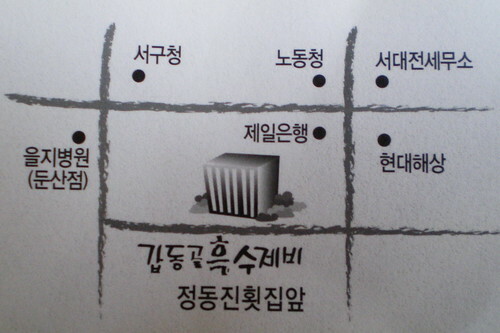 Most definitely the best damn tofu in Daejeon! i'm Minjee KANG. do u remerber me? ah, if u want, please visit my blog.